North Florida Regional Healthcare is an organization centered around the community hospital in Gainesville, Florida — North Florida Regional Medical Center (NFRMC). NFRMC is a 432-bed, full-service medical and surgical acute care center serving North Central Florida and offering comprehensive cardiovascular care, oncology,orthopedics, neurosciences, minimally-invasive laparoscopic and robotic surgery, weight loss surgery and treatment, senior care, women’s health and wound therapy, among other services. NFRMC is fully accredited. It is also certified as a Comprehensive Stroke Center and a Quality Top Performer by The Joint Commission; is an accredited Chest Pain Center; is designated as a Blue Distinction Center for Knee and Hip Replacement, Spine Surgery and Bariatric Surgery; and earned a position in Truven Health’s Top 100 Hospitals in 2017. 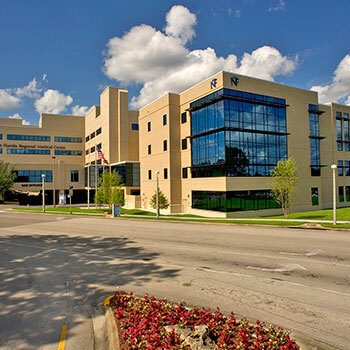 North Florida Regional Medical Center is a member of Hospital Corporation of America (HCA).